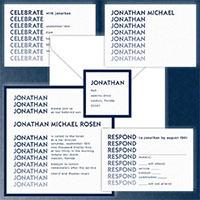 Modern Mitzvahs presents a huge selection of Bar and Bat Mitzvah invitations designed specifically to compete with internet invitations at an amazingly low cost of $200 to $600 retail per invitations. 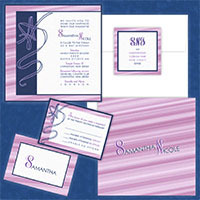 Sold exclusively through authorized stationery dealers, you will have the advantage of personally working with an experienced professional to advise you and supervise your order to your complete satisfaction. 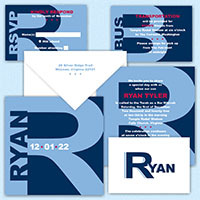 Unlimited customizing, such as adding layers, changing patterns, utilizing our unique "under glass" feature on most designs, multi-color and pattern filled names on the return address of your invitation envelopes and much, much more is made easy through your stationery expert. 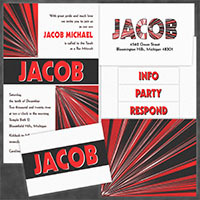 Guest addressing with coordinating and multi-colored printing is also available. 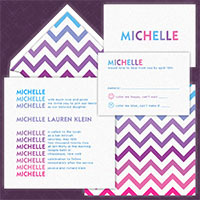 Only the finest quality envelopes and thick card stock have been used in this fabulous collection. 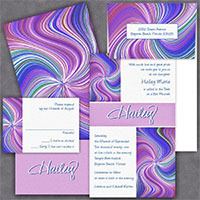 Linen, Shimmer and Smooth card stock give our invitations a quality that will exceed your expectations while being kind to your budget.